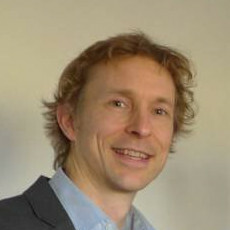 Jan-Rutger Schrader, PhD: I am an electronics engineer and obtained a doctorate from the University of Twente (The Netherlands). My specialization was in microelectronics and communication technology. By the age of 10 I was already engrossed by computers. After school my teacher would allow me to use the Commodore 64 school computer while they were having a meeting in the staff room. The cleaner used to pass by saying: “Kid, go play outside.” But I just wanted to program. Later on, I was one of the first to have a mobile phone, then the Nintendo Wii, smart phone, everything. After obtaining my doctorate I was working in the research lab of a big multinational, designing electronic circuits for the latest generation of mobile phones. Whilst there it became clear to me that the electromagnetic radiation of wireless equipment, mobile phone masts and electronics was having a noticeable effect on my health. I could not ignore, what to me was so self-evident and I felt I could no longer work in the wireless industry. Subsequently I worked for a top research institute as a project leader in satellite electronics for seven years, which I very much enjoyed. Meanwhile I started taking an interest in scientific studies on electromagnetic radiation and health; I studied and studied with increasing astonishment. This is an area of considerable controversy, but it is simply not true that there is no scientific evidence. There are about 50 independent studies alone that prove DNA damage caused by radiation of mobile phones. This has recently been confirmed by the largest Austrian health care insurer AUVA. Five years ago I established JRS Electro Health. Our mission is to improve the lives of people by reducing electromagnetic radiation (EMR) in the environment. We offer EMR measurement and advice, and we create electronics which emit less radiation, in a measurable way. I designed the low radiation eco wifi router with the thought: “How can you reduce wifi radiation without a loss of functionality?” My focus is to research and develop utilizing all I know from an engineering perspective – to develop products that provide a reduction in electromagnetic radiation that is measurable using technical electrical measuring equipment. This is a significantly different approach to many other companies in this field. JRS Electro Health is member of the VEMES foundation (association of experts in electromagnetic radiation metrology). In this way we can work together to make our environment healthier and cleaner.